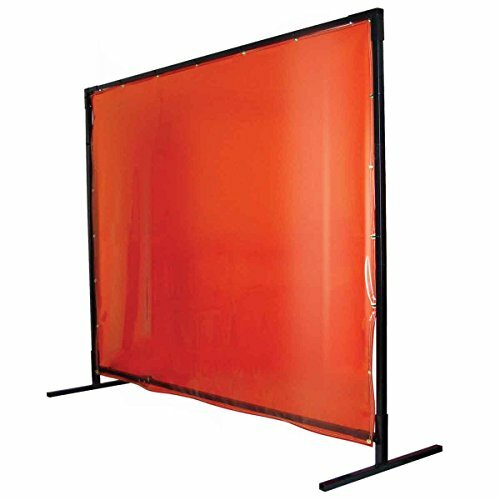 Includes: (1) welding screen features: Translucent to provide passerby observability while offering protection from harmful rays and sparks flame resistant vinyl specifications: Height: 6 feet width: 6 feet color: Orange thickness: 14 mil. The QuickFrameTM Standard welding frame is made of black powder coated 3/4" diameter galvanized steel in round tube framing. It's lighter in weight than our heavy duty frame for convenient mobility. Our snap-fit design allows for quick and easy assembly without the use of tools. New to the QuickFrameTM Standard is our hinge clip, making it easier for multiple panels to connect. 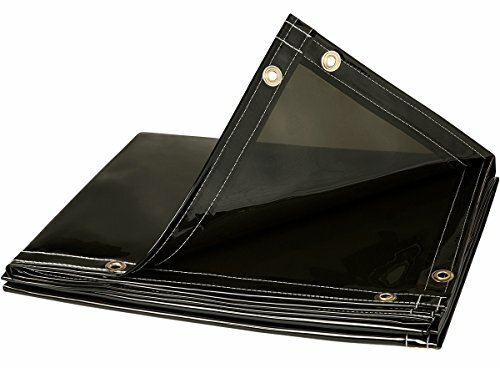 Our Saf-VuTM vinyl welding screens provide protection from sparks, as well as harmful UV rays and radiation. They are translucent for limited observation from passersby. 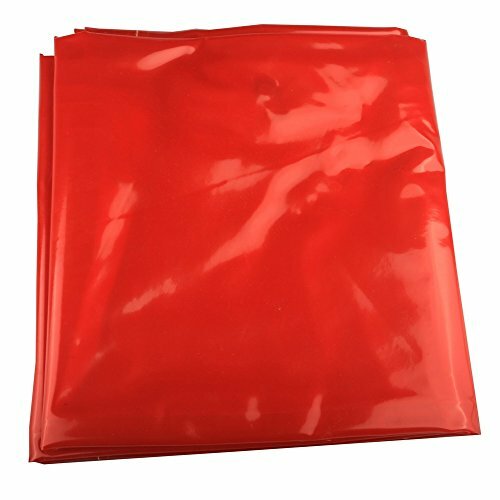 Vinyls are flame resistant and meet the requirements of NFPA701 and the California Fire Marshall for flame resistance. When your welding job won t wait and you re close to other workers, help protect them with the Wilson Green See-Thru Welding Curtain. 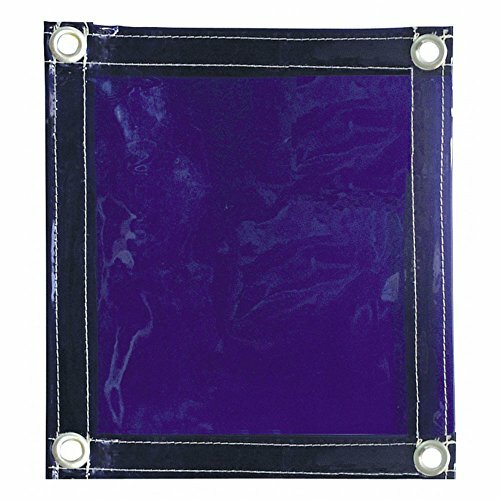 The heavy-duty 14-mil vinyl welding screen is designed to filter far and near ultraviolet (UV) radiation and blue light. 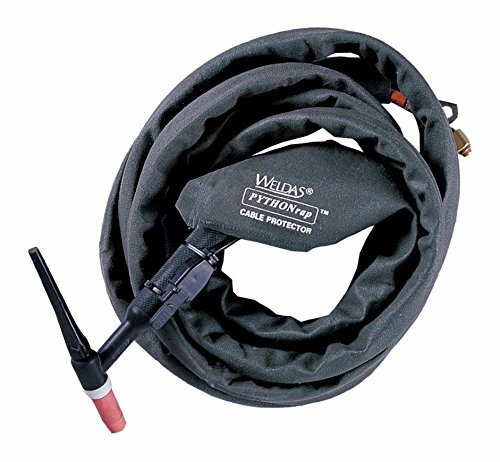 They come with ready-to-hang grommets (framing and tubing sold separately) and are a smart item on your list of welding supplies. 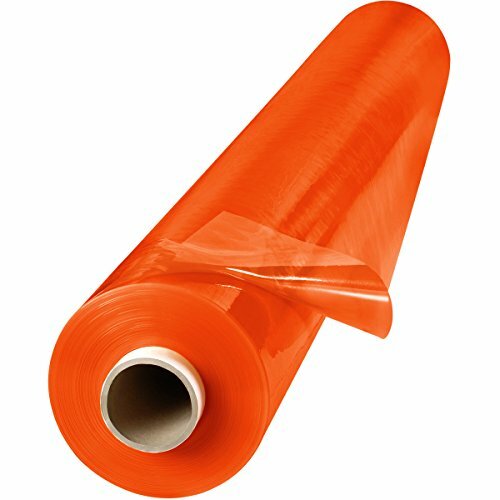 6'x8' Orange flame retardant transparent vinyl. 14 mil thickness. Provides optical protection when visibility is required. 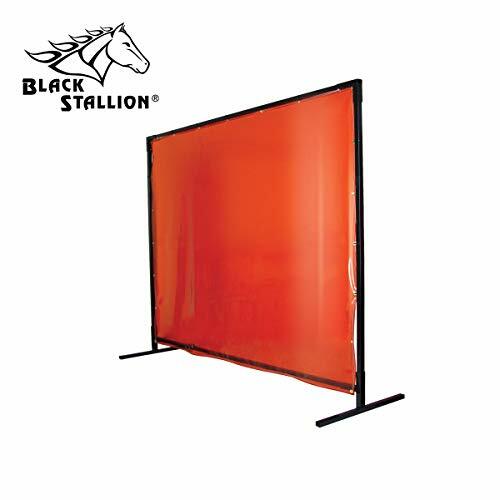 Formulated to disperse arc image and allow light back into work area. Grommets all around edges. 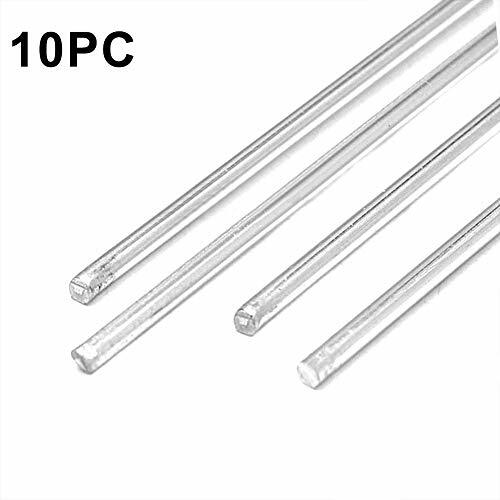 Transparent vinyl welding curtains are not intended as a substitute for normal eye protection for close or long term viewing. It is recommended that the user wear protective eyewear suitable for the specific application. 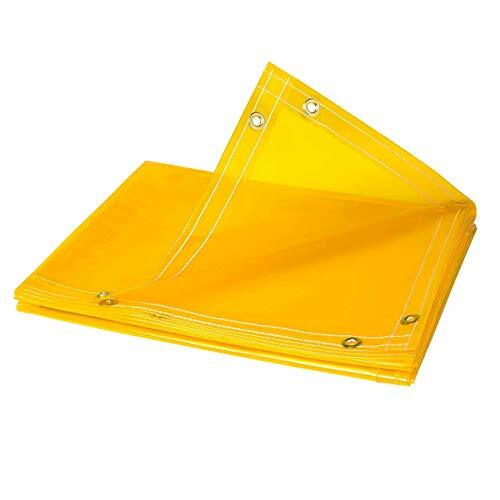 PYTHONrap Cable Covers Heavy Duty Cable Covers keep your torch cables protected from the harsh and dirty environment commonly seen in the welding industry. A small investment will prevent the costly replacement of your equipment. This 22 feet long Welding Cable Cover fits torches with 25 feet long cables. 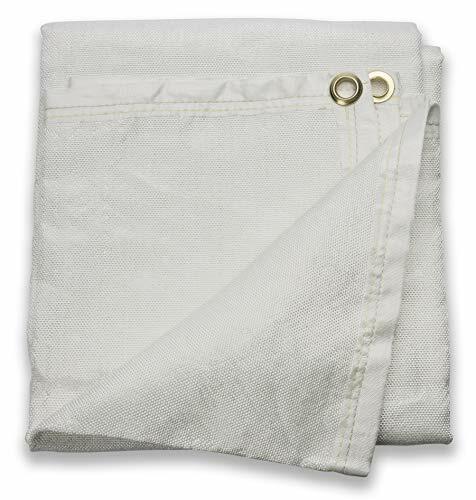 This cover is manufactured in heavy-duty woven nylon, a much better material than simple cloth. Heavy Duty Cable Covers keep your torch cables protected from the harsh and dirty environment commonly seen in the welding industry. A small investment will prevent the costly replacement of your equipment. Protect workers, material, and equipment from hazards of welding sparks, spatter, and UV flash.  Brand: VIZ-PRO | Manufacturer: Zhengzhou AUCS Co., Ltd.
6'x6' Orange flame retardant transparent vinyl. 14 mil thickness. Provides optical protection when visibility is required. 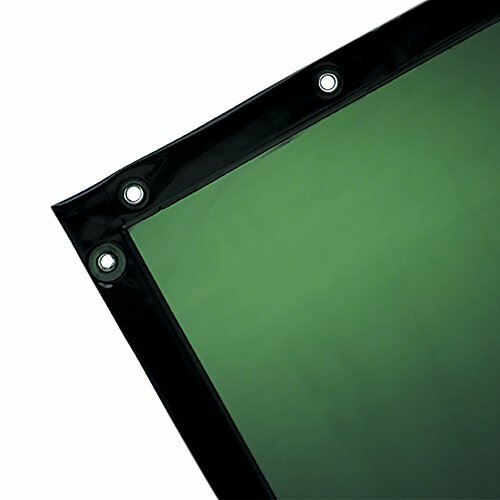 Formulated to disperse arc image and allow light back into work area. Grommets all around edges. Transparent vinyl welding curtains are not intended as a substitute for normal eye protection for close or long term viewing. It is recommended that the user wear protective eyewear suitable for the specific application. 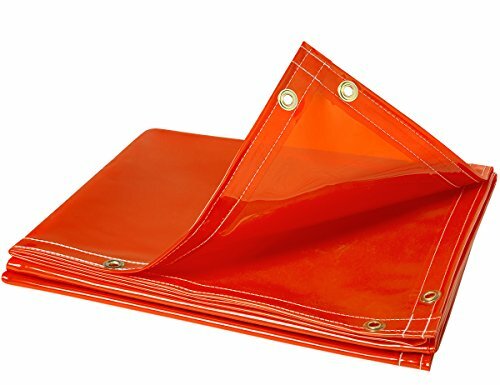 A heat resistant fabric designed to be placed in the vicinity of a hot work operation. Operating temperature of 1, 022F. Intended for use in vertical applications with light to moderate exposures such as that resulting from chipping, grinding, heat treating, sand blasting, and light horizontal welding. Designed to prevent sparks from escaping a confined area. Ansi/ FM 4950 approved for welding Curtains. Premium fiberglass fabric - constructed of premium grade white fiberglass fabric with a 18 oz./yd material weight for excellent protection and confinement of welding heat, sparks, spatter and grinding particulate. Durability - sewn and hemmed with high strength Kevlar thread to prevent rips or tears. Industrial brass grommets - to support the weight of the fabric and increase versatility, the blanket features heavy duty brass grommets on all 4 sides. 6 x 6 protection - the blanket measures 6 foot by 6 foot for 36 square feet of coverage. Ansi/ FM 4950 approved - tested and trusted protection from thermal and fabrication hazards. 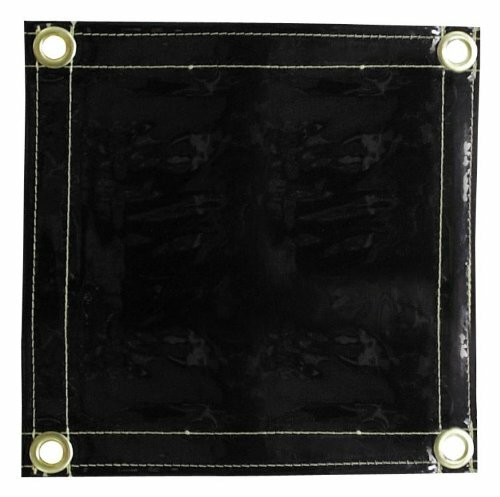 Transparent flame-retardant vinyl welding curtain. Product provides optical protection when visibility is required for the casual viewer or passerby. It if formulated to disperse arc image and allow light back into work are. CFM Approved. Transparent vinyl welding curtains are not intended as a substitute for normal eye protection for close or long term viewing. It is recommended that the user wear protective eyewear suitable for the specific application. 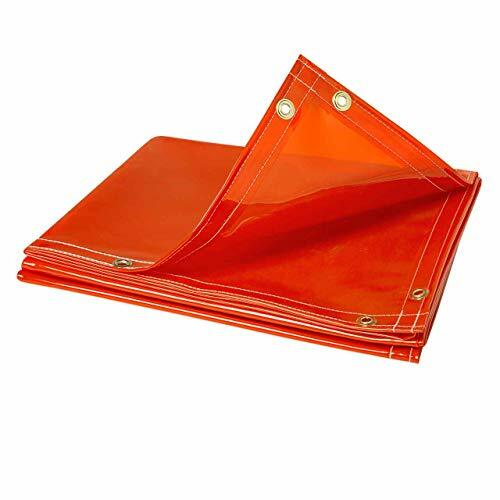 Widely used in robotic welding areas where large curtains are needed to enclose the perimeter of a welding area. Simply roll out the length of curtain needed, cut it off, and hang with S-hooks. Since they were first established in 1975, Steiner Industries has emerged as one of the premier manufacturers and suppliers of welding safety products, gloves, protective clothing, and curtain-style industrial partitions. Steiner Industries is built around a commitment to quality products, manufacturing excellence, and superior service. Their products are carefully designed to provide the utmost level of safety and increased productivity in the workplace. 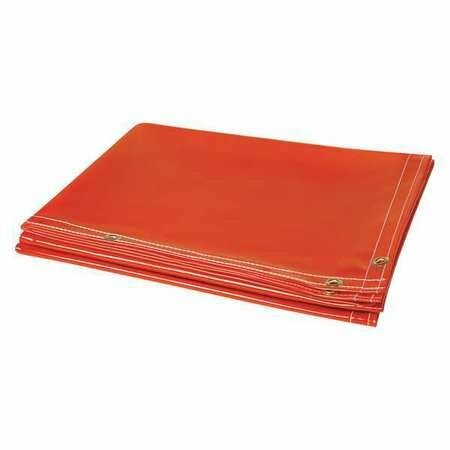 Tillman Orange Vinyl Replacement Welding Curtain Mfg # 603 Size: 6' X 8' Features * Orange flame retardant transparent vinyl. * 14 mil thickness. * Provides optical protection when visibility is required. 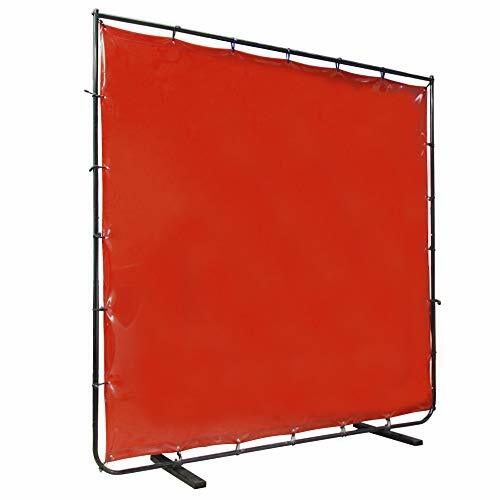 * Formulated to disperse arc image and allow light back into work area. * Grommets all around edges * CFM approved. Transparent vinyl welding curtains are not intended as a substitute for normal eye protection for close or long term viewing. It is recommended that the user wear protective eyewear suitable for the specific application.